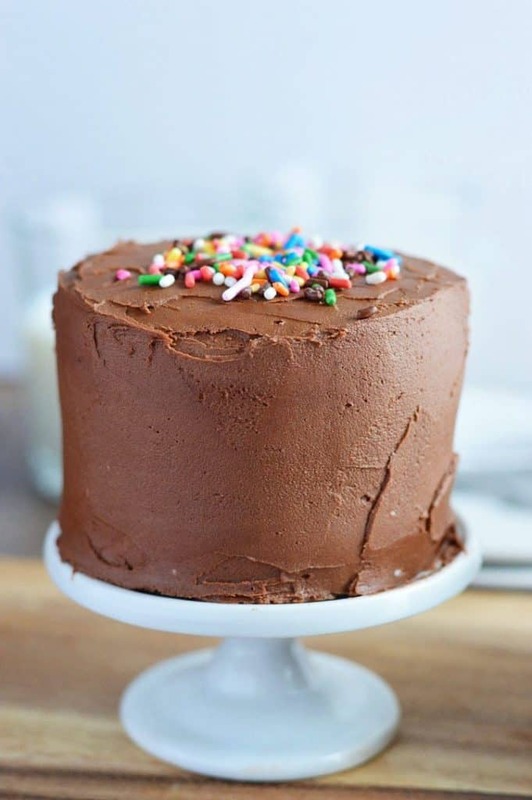 This mini chocolate layer cake recipe is one you’ll definitely want on hand. It’s baked in ramekins and serves just 2-4 people. So National Chocolate Cake Day was a couple weeks ago. 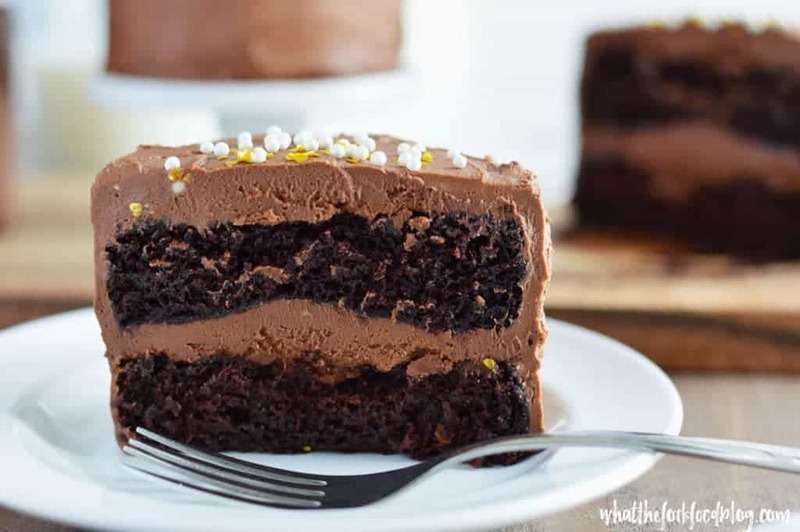 While I do have some glorious chocolate cakes on my blog (Chocolate Cookies and Cream Cake, Marble Pound Cake and Chocolate Peanut Butter Cup Ice Cream Cake to be exact), this mini chocolate layer recipe would have been impeccably timed if I had posted it then. Oh well. 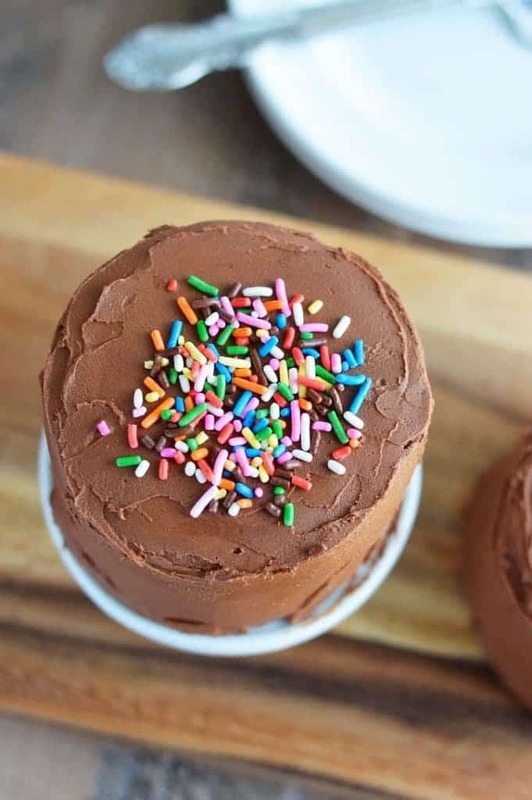 At least you have another excuse to make chocolate cake, especially since these are adorably small and can be shared with one other person (or two, or three if you really want to stretch it). Adam and my brother think these cakes are for one. So whether you eat it by yourself or share it with someone special, I don’t care and I won’t judge ???????? This cake recipe is adapted from my Chocolate Cupcakes for Two recipe, which I made for Valentine’s Day last year. I’ve seen a lot of mini cakes on Pinterest but those are all baked in a pan cut to mini size. For me, that’s one too many steps AND you get wasted cake scraps so I opted to bake them in 4-inch ramekins for a true layer cake. Baking cake in ramekins was a tiny bit trickier than I thought it would be. The cakes tend to stick a bit more to the ramekin then they do to a cake pan since mine are non-stick pans. The first time I made these, I greased and floured the ramekins and the cakes baked beautifully, they just stuck a teeny tiny bit. 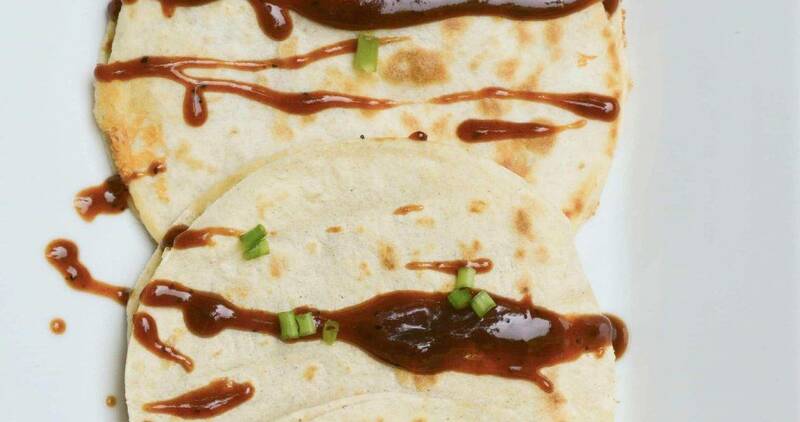 So the next couple times, I experimented with using parchment, cooking spray, etc. After a few rounds of testing, I prefer spraying the ramekins with non-stick spray and then dusting them with cocoa powder. I also had major issues with the cakes not rising in the centers, they were cooked through and tasty – they just didn’t rise completely. After 6 more batches of cake (really, I made a ton of these to get it right!) I finally got it. The cakes are delicate and I was using too much levener for the size of the cakes. While the amount works for cupcakes, it did NOT work for 4 inch cakes. After omitting the baking powder, success! And happy dances all around. My freezer is now currently stocked with mini cakes. ALSO GUYS… I MADE MY FIRST EVER VIDEO. It’s a quick little short of me making the cake. Check it out, and follow me on YouTube while you’re at it (wink, wink). Since these cakes are so small, they’d be the perfect size for cake smash sessions. I wish I had made these for Mackenzie’s first birthday last year. I made her a 6-inch cake and even that was too big. These are the perfect little petite cakes and would look super cute in pictures next to your adorable babies. 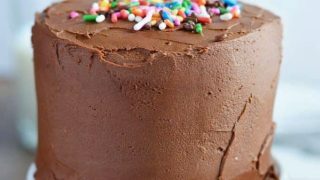 However, this mini chocolate layer cake recipe would be perfect to have on hand for your kids who need allergy friendly cakes for special occasions. It would be a great (and impressive) alternative to a cupcake. I frosted mine with vegan chocolate frosting (recipe coming eventually!) but you can use whatever frosting you like. Enjoy! This post contains affiliate links for the ramekins and ingredients I used to bake these cakes. Happy baking! 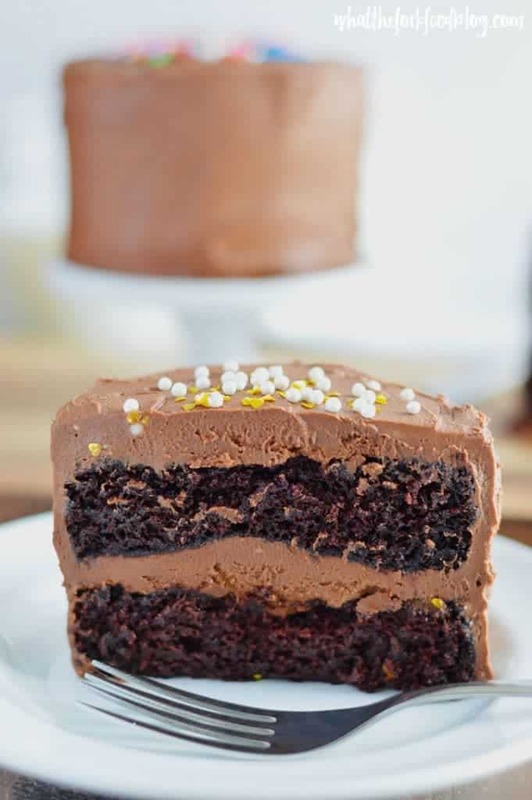 This mini chocolate layer cake recipe is one you'll definitely want on hand. It's baked in ramekins and serves just 2-4 people making it a great dessert to bring to a party for those with special dietary needs. It also makes the perfect sized cake for birthday cake smash sessions. Preheat oven to 350 degrees and spray two 4-inch ramekins with non-stick spray and dust with cocoa powder. In a medium bowl, whisk together the flour, xanthan gum, sugar, cocoa powder, baking soda, and salt. 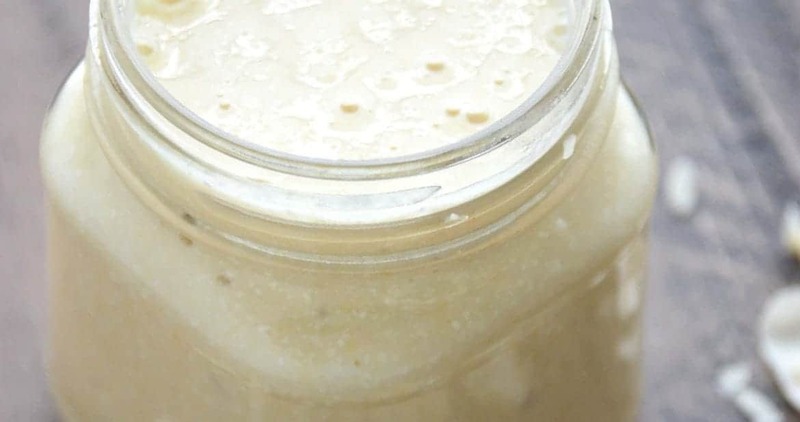 In a small bowl or measuring cup, whisk together milk, oil, vanilla, vinegar, and coffee. Pour the wet ingredients into the dry ingredients and stir until combined. Pour the batter into the prepared ramekins and place the ramekins on a baking sheet (to make it easier to get them in and out of the oven). Bake the cakes for 20-24 minutes or until a toothpick comes out clean. Cool on a wire rack for 15 minutes in the ramekins and then invert onto the cooling rack to cool completely. These cakes freezer really well. You can freeze the individual layers by wrapping tightly in plastic wrap. 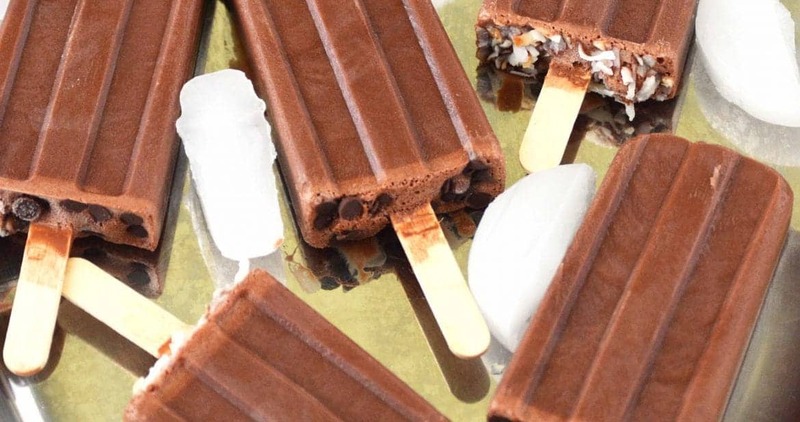 You can frost the layers while they're still frozen and then serve when the cake is defrosted.You can also frost the cakes and freeze them whole - just defrost for a few hours before serving. These are just too cute and perfect!! Mini desserts and cakes are so my thing! These are like a much more mature mug cake 😉 And vegan <3 Love! I love these!! Why is everything better in mini form?! Cutest cake ever! And it looks super tasty too! That sweet little cake could be very dangerous for me. I am pretty sure I can fit it into my lunch box 😉 Yum! Such a great idea to bake the cake in ramekins! It also solved the age-old problem of eating an entire normal-sized cake. I can’t wait to make it for my hubby for Valentine’s Day! Love this idea! I get urge to bake a cake but ultimately don’t because it’s too much cake! This is perfect. Pinned! tiny desserts are my favorite 🙂 love this mini chocolate layer cake! Serious chocolate cravings after seeing your cakes. They are just adorable and congrats on doing the video!!! I know it takes work to put them together!! I love the idea of cooking the cakes in the ramekins! My lil guy is turning 1 in 2 months and I’m thinking that would be perfect for his Birthday cake!! Stunning cake, girlfriend! And congrats on the bday!!! Looks like a delicious way to celebrate! Oh, so cute!! 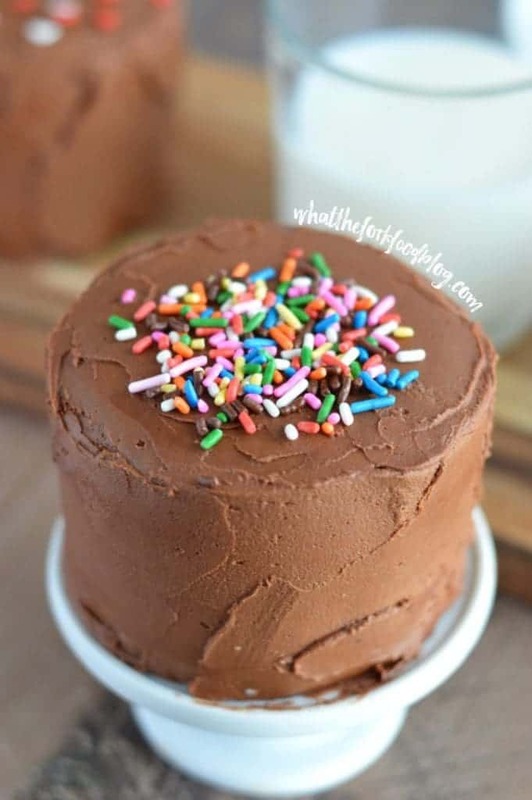 I love the idea of mini cakes – that means more frosting all around, SCORE!! This little cake is wonderful. I am glad you kept at it as this recipe is really needed. I definitely want to make this. Thanks! Thanks Ginny! Yes, I agree, mini desserts are a must not only because they’re cute but it’s so much more practical to make a mini cake for daughter and husband to share (they’re the gluten free / dairy free ones). I love mini desserts, so perfect for celebrating! I love the contrast between this dark almost black dough and this smooth and clear chocolate frosting. Looks terrific! Hi. How cute is this cake? If I didn’t need to make it gluten-free, would I just use the same amount of regular AP flour and omit the xanthan gum? Thanks! This is such a cute and perfect size! I feel like this could be a great size for a cake cutting at a wedding where cake wasn’t the main dessert for guests. My college roomate had doughnuts for everyone and asked me to just make a cake for them to cut, but there was obviously a lot more than needed at 9 in round. Thanks for baking so many to get this recipe right for us! I love the mini cake stand where can I find it? Thanks in advance! Thanks Kristi! I honestly can’t remember where I got this little stand, I *think* it may have been a thrift store find. I just checked it and it didn’t have any branding on the bottom… sorry I can’t help! However, if you search “mini cake stand” on Amazon, there are lots of options! Do I need to alter the measurements for a 5 inch cake pan or can I use the same measurements and just bake it for a lesser time? Thank you in advance!! Hi Nina, if you bake in a 5 inch pan, you’ll have thinner layers but it will still work. You’ll just have to bake for a shorter amount of time.